We are offering Custom House Agent Services. Our company is offering CHA for MNCs. 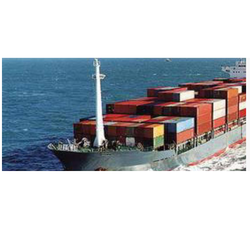 These shipping services are specially designed keeping in mind the Indian conditions. In addition to this, these are implemented by industry identified experts who have rich skill in this realm. we are authorised clearing & forwarding agent at kakinada . We are well versed in documentation at both port & custom's. We operate successfully a Custom House Agency (Customs Clearing / Customs Brokerage) and have many satisfied customers who highly appreciate our professional service and economic costs and transparency in our dealings. To add to it we maintain excellent cordial relations with all Custom and Port personnel ensuring that top priority is always accorded to our consignments at all times. We at Marigold Logistics began our journey in 1990 to provide Indian Industries and Business Communities with integrated Shipping related services ranging from Container Shipping, Forwarding, Transportation, Warehousing, AirFreighting, Consolidation and Special Project Handling etc. As an Indian licensed custom house, we take charge of specialized work that would have caused you much stress. Our clients can ask for the following services; unloading/loading of imported/exported goods at the destination, weight measurement, packing and the transportation to and fro the customs station. We help you clarify trade intricacies and keep your shipments moving through customs, internationally. Our highly efficient and experienced customs brokerage service is designed to take the complexity out of the customs process. We even maintain the best industry practice standards throughout the clearance process. Aspinwall provides documentation services to importers and exporters at all customs stations in the country covering ports, ICD's and airports. 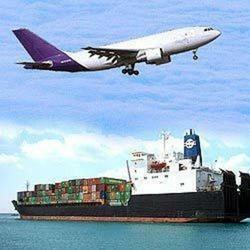 Over a decade experience in the customs clearance which we delivers a high ended output through time bounded, economical and competent work to the valuable customer's by handling various type of goods in Imports and Exports at customs clearance through Seaport and Airport.